Graduates of public relations diploma programs should contact the program co-ordinator for information regarding possible advanced standing. Academic strength is calculated by averaging all submitted Grade 12 marks (or equivalent) of the required subjects. If more than one grade is received for required subjects, the highest grade will be used in the calculation. Description: This course is designed to develop the knowledge and skills required to be a proficient user of applications relevant to the communications field. File management and word processing skills will be covered but an emphasis will be placed on web design and publishing and the use of electronic media. The student will study the essential tools required by today's professional communicators, including the Internet and other media, such as blogs, websites and data bases. These tools are essential to assess emerging issues, to communicate information and to conduct research. Description: Public relations professionals frequently manage the design and print process of communication materials. In this course students will develop an understanding of these processes. They will learn how, when, and why to request specific design elements and print processes for a variety of materials including: newsletters, brochures, reports, and other communication materials. The student will be able to judge the quality of finished work. By using layout, balance, colour, photographs, artwork, and typography students will understand how design elements can enhance or detract from the message. Through the use of thumbnail linear drawings students will acquire the skills necessary to express and develop ideas. They will also use industry standard technology to develop the essential technical knowledge required to produce presentation materials. Students will learn the step by step production processes that result in final artwork and file format for a commercial printing firm. They will develop an understanding of how to evaluate the equipment capabilities of the many commercial printers, film houses, and service bureaus available in today's high tech marketplace. Students will explore the various printing methods used within the industry. Stock selection, finishing techniques, scheduling and estimating will also be covered. Description: This course introduces the practice of public relations, its history and evolution. Students examine the principles and theory of public relations management and organization, in terms of reputation and relationship. Current trends, problems and issues related to public relations practice globally are explored through the key stakeholder relationships with media, employees, consumers, government and the community. This course also emphasizes the ethical responsibility of public relations practitioners toward society at large. Description: This course will provide a starting point to understanding the functions of business and the similarities and differences between Canadian business and business operations in other countries. Economic systems and forms of business organization will be evaluated. The major functions of business (management, human resources, production, marketing and finance) will be examined in the Canadian environment and compared to the international environment. Description: The curriculum provides critical reflection on digital media applications and their implementation in a variety of settings, including education, publishing, performing arts, video and film production. The course also looks at media consumption in contemporary society. Topics include writing for new media, information architecture for Internet services, the behavior of information users, and electronic commerce. The curriculum blends content and technology, preparing students to manage new media projects. Description: This course will introduce the student to a variety of primary and secondary research methods used for public relations planning, implementation and evaluation. The student will learn how to select the appropriate research tool and methodology, administer the research, evaluate the soundness of the information gathered, and report results. The student will design and conduct qualitative and quantitative research that includes the use of electronic data bases, on-line methods for environmental monitoring, focus groups, surveys and content analysis. Most important, the student will learn that better public relation decision-making occurs when they are able to support their professional judgment with research insights. Description: In this course, students are introduced to models of reasoning and the required framework for evaluating and responding to ethical issues in the Public Relations workplace. They will examine their own values and ethics and how these affect or relate to an organization's response to an issue; the role corporate and special interest groups play in advocating social, political and economic changes in society; the meaning and value of “news” and truth telling from the sometimes competing perspectives of journalists and public relations professionals;codes of ethics within the PR profession; and the credibility and ethical usage of new technology. Description: This course will introduce students to elements of writing for specific communications disciplines and opportunities. Considerations of audience, purpose and technique will be examined for a variety of writing assignments in public relations. Students will examine and apply the various types of promotional writing used to promote a product, service, organization or cause, including corporate and non-profit advertising used for public relations purposes and integrated marketing communications tactics such as brochures, websites, public service announcements and direct response materials. Description: This course will prepare the student to deliver dynamic and professional presentations to both small and large groups in either management or impromptu (informal) situations. Students will learn to match message development with the intended audience, how to use non-verbal presentation techniques to build audience rapport and how to prepare themselves for presentations. Students will develop an awareness of the importance of projecting a professional image in the presence of others. The construction of ethical persuasive presentations, the organization of key points to enhance understanding, and how to handle audience questions or objections will be covered. Further, the student will learn tips and techniques on how to coach others for media interviews or speeches. Description: The course will introduce and review major approaches to the study of human interaction, rhetoric, language, persuasion and cultural processes across diverse contexts. This course examines the impact of diversity on communication and encourages communication practitioners to link everyday cultural practices to the larger systems that structure them. Description: Leading organizations today are creating and managing their communications in an integrated fashion, with coordination in terms of messages, positioning, and timing, all developed in support of overall organizational objectives. This course provides an integrative approach to the study of the interrelationship of advertising, branding, marketing and public relations. Topics include an evaluation of the role of promotion in marketing and the economy; the formulation and analysis of promotional goals; planning, organizing, and controlling the promotion function; creative planning; and budgeting and media selection. Through case studies and practical exercises, students will learn how to reach appropriate target publics in an effective, cost-efficient and measurable way. Description: This course moves beyond the basics of public relations writing to focus on writing specialized subject matter for specific media. Students will build upon the skills they gained in Specialized Writing for Public Relations I by researching, writing and editing more advanced public relations documents. This course will also reinforce and complement the skills students gain in the courses Public Relations Campaigns and Presentation Skills for Public Relations. Completed documents may include speeches, newsletters, media kits (print and/or online), feature articles, and other written documents used to support a campaign, presentation or event. Description: This course will examine the important relationship between public relations practitioners and members of the media. This course will explain the role of the news media, how it operates, and the unwritten rules that govern interaction with the news media. Students will learn how to construct an effective media relations strategy, how to be interviewed with skill and assurance, and how to evaluate media relations within the corporate public relations plan. The course will use new information technologies to manage and evaluate these relationships and will include discussion about the ethical challenges of global media relations. Description: The course is a study of individual and group behaviour (specifically in international organizations) as influenced by social, individual, organizational, and technological constraints. Topics include personality; attitudes; motivation; group dynamics; roles, norms and status; decision-making; power and control; conflict; change; and leadership. Description: Management of large scale projects is both a science and an art. This course will focus on Project Management as an essential component of managing both international and domestic operations and an evolving professional discipline. All projects are typically complex, are comprised of many components and tasks, and involve a cross-section of different functional teams. The essential knowledge areas which are vital to effective project management (integration, scope, cost, time, quality, human resources, and communication) will be explored in detail. As well, the key processes involved with successful project management (initiation, planning, controlling, executing and closing) will be reviewed. Students will have an opportunity to apply these skills and knowledge to a variety of real world situations. Description: This course provides students with an understanding of the role events play in strategic communication and in helping organizations achieve their goals. From brainstorming ideas and concepts to project management, budgeting, and audience analysis, the students will explore public relations event campaigns as both strategic and creative. The principles of etiquette and professionalism will also be covered. Description: This course moves beyond the basics of public relations writing to focus on writing specialized subject matter for specific media. Students will examine and apply the various types of promotional writing used to promote a product, service, organization or cause, including corporate and non-profit advertising used for public relations purposes, and integrated marketing communications tactics such as brochures, websites, public service announcements and direct response marketing materials. This course will reinforce the principles students learn in Integrated Communications, with emphasis on how professional writing can support a marketing communications strategy, program or campaign. Description: Public relations campaigns can help solve a public relations problem or take advantage of public relations opportunities. In this course students will examine public relations campaign cases, both proactive and reactive, and actually design a comprehensive public relations campaign proposal for a community-based client. Special focus will be given to the ethical responsibility of public relations practitioners toward society at large. Description: All managers in an international environment need financial management skills to make decisions and manage projects within an organization. This introductory course for non-accounting students covers aspects of both financial accounting and management accounting. Students will be able to apply concepts of finance and financial management for organizations operating in international environments. Students will develop an appreciation for the techniques used to control financial risk in international situations. Students will be able to apply concepts of financial accounting to both personal and business situations, including the preparation and use of basic financial statements. Management accounting topics will allow the students to understand cost behaviour and its use in decision-making, evaluate capital investments, and prepare operating budgets. Description: This seminar-style course examines the critical roles of the employee and the manager in the communication effectiveness of an organization. Students will explore managerial communications styles and strategies to meet organizational objectives. Through case study analyses and discussion, students examine effective and ineffective communications strategies and discuss the challenges to effective employee communication. Description: This course teaches the origin of scientific and literary terms; foreign phrases in current use; borrowing of words into English from other languages; and the relationship between meaning and culture and meaning and content. It also covers topics of English diction and style and their applications in written communication. Description: This course provides an in-depth look at different public relations issues, cases and specializations, including media relations, employee communication, and nonprofit communication. Specifically, students will apply cross-cultural and cross-gender sensitivity and look at major issues in diversity, such as the unique economic, employment and health-risk issues confronting minority communities. Description: This course focuses on the not-for-profit sector, emphasizing the art and science of communicating in writing with individual and corporate donors, grant providers and other key stakeholders within the not-for-profit sector. It will reinforce Fundamentals of Finance by reviewing high-level financial principles as they apply to not-for-profits in Canada. It will also introduce students to the disciplines of fundraising and grant writing, both fundamental aspects of a not-for-profit's success. The course emphasizes theoretical understanding of the not-for-profit sector as well as specialized writing skills in support of not-for-profit organizations. Description: This advanced course builds on the skills and the knowledge students learned in the introductory course. It applies critical thinking to the public relations research process, including the question, tools, methodology, and analysis and reporting. Students will study audience segmentation, question bias, the meaning and use of statistics, the responsibilities inherent in reporting results, and the critical reading of research reports. A significant focus throughout will be on the ethics of the research process. Specific communications research through the use of public opinion polling will also be studied. Case studies and reflective discussions will be used to develop a deeper awareness of research and its implications in public relations. Description: The co-op work term will provide students with college-approved work experience within a public relations environment. 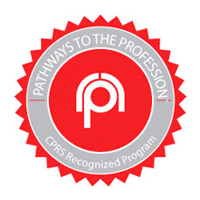 Through this course, students will be provided an opportunity to build skills (physical and procedural skills including accuracy, precision, and efficiency); assist in the acquisition of knowledge in and application of knowledge gained in the academic setting (concepts and terminology in a discipline or field of study); develop critical, creative, and dialogical thinking (improved thinking and reasoning processes); cultivate problem solving and decision-making abilities (mental strategies for finding solutions and making choices); explore attitudes, feelings, and perspectives (awareness of attitudes, biases, and other perspectives, ability to collaborate); practice professional judgment (sound judgment and appropriate professional action in complex, context-dependent situations); and reflect on experience (self- discovery and personal growth from real-world experience). Description: This course reviews the history, definition, and major theories of rhetoric and persuasion as part of the communication process. It teaches students methods of persuasion: logical and emotional appeals and trustworthiness, ways of structuring arguments, and persuasive style. It emphasizes the application of rhetorical theories and strategies in public relations through preparing students to create and critique arguments on a variety of subjects. Description: This course will establish fundamental design concepts and processes. Students will explore design principles and typographic conventions. Students will begin to recognize successful composition and visual design in relation to user behaviour. Through design processes students will develop the ability to visualize and make aesthetic decisions to effectively communicate data and information. The course will also introduce students to the opportunities and limitations of inter-active design and accessibility requirements. Students will utilize current interactive design and authoring tools. Description: This course builds upon areas of knowledge and processes learned in Project Management I, with synthesis in a practical/applied environment. Focusing on project teams as an integral part of project management, this course covers the cycle of a projects and the complexity of functional teams. It deals with the role of buyers, maintenance technicians, human resources officers, information technologists and transportation coordinators, and covers contracts, risk allocation, negotiation, and transportation. Both individual and team complex projects will be developed and presented, contributing to the final capstone/portfolio. Description: This seminar-style course explores Corporate Social Responsibility (CSR), the principle of businesses supporting communities and people. This practice is intended to build bridges between the corporation and the community. The business and ethical challenge is finding the balance between doing "good" and leveraging these "good" practices to benefit businesses and the community. Students will examine and discuss current CSR cases. Description: This course builds off the skills and knowledge obtained in Strategic Communications Management I to provide a more in-depth look at different public relations issues, cases and specializations, including community relations, investor communications, and issues/crisis/risk communication. A focus will be given on the use of new information technologies to communicate to these publics. Focus will also be given to the ethical responsibilities of public relations practitioners toward the society at large. Description: The second co-op work term will provide students with college-approved work experience within a public relations environment. Through this course students will be provided an opportunity to: build skills (physical and procedural skills including accuracy, precision, and efficiency); assist in the acquisition of knowledge in and application of knowledge gained in the academic setting (concepts and terminology in a discipline or field of study); develop critical, creative, and dialogical thinking (improved thinking and reasoning processes); cultivate problem solving and decision-making abilities (mental strategies for finding solutions and making choices); explore attitudes, feelings, and perspectives (awareness of attitudes, biases, and other perspectives, ability to collaborate); practice professional judgment (sound judgment and appropriate professional action in complex, context-dependent situations); and reflect on experience (self-discovery and personal growth from real-world experience). Description: This is a survey course designed to provide Public Relations students with the necessary knowledge and appreciation of the law relating to media, communications and public relations. Constitutional, criminal, administrative, and civil laws will form the basis of this course. The course will include such topics as: (1) the Canadian legal system, (2) privacy, access to places and information, (3) defamation, (4) intellectual property rights, (5) employee rights and obligations, (6) corporate governance, (7) product safety, (8) role of government, (9) maintaining confidential information, (10) litigation, (11) international considerations, (12) risk management, and (13) obtaining legal services – proactively and reactively. Successful completion of this course will give students a basic understanding of the law and, perhaps more importantly, an appreciation of its complexity. Description: This course is an introduction to the fundamental issues of Canadian public life and the federal political system. It presents an overview of the constitution, institutions, political parties, electoral system, interest groups, and public opinion that represent the essential components of Canada's political culture and government. Students will become acquainted with the basic concepts of public affairs, understand the relationships of the social, economic and political aspects of public affairs; recognize the complexity of public problems and the issues underlying their attempted solutions within a democratic political system; develop personal approaches and opinions about the solution of public problems; and build awareness of the ethical dimensions of public affairs. Description: This course prepares students for consulting roles in the public relations profession. In the first half of the course there is a focus on inter-personal and relationship skills as they can be applied to either internal or external clients. Specifically, skills to develop and maintain ethical client relationships are taught including empathetic listening, interview techniques such as leading with questions, management of client expectations and conflicts, as well as communicating advice and feedback to clients. Students learn the value of listening rather than jumping to solutions. In the second half of the course, external consulting skills such as writing proposals and letters of agreements/contracts are covered. Students are exposed to the questions they need to consider before operating a freelance consulting business. They are provided with an overview of how to operate a public relations consultancy including essential business skills such as human resource requirements, record keeping, multiple client project management, billing, and government reporting. Description: This course explores the dynamic rise and development of public relations and highlights its inextricable link with international business and marketing, global media power and new technology. The course provides insights from both a media and a public relations standpoint, so that students can see the application of key theories of public relations scholarship pertinent to modern public relations practice. Students will enhance their professional skill and knowledge base in the global realm. Description: This seminar-style course covers changing trends in investor relations, types and styles of communication with investors, and online investor communication. Students will explore investor terminology, writing styles and special communication topics. Discussion themes include current investor relations issues such as the growing use of electronic communication to replace face-to-face communication channels (e.g. annual shareholder meetings) and what it means for companies and shareholders. Description: This seminar-style course explores the three dimensions of issues communication: proactively addressing emerging issues; developing risk communication strategies; and effectively reacting in times of crisis. Through class discussion and exploration of cases, students will learn how the public relations practitioner can offer increased value to an organization through proactive planning and implementation. Description: This capstone course and exam are the final steps in completing the degree and preparing for a career in public relations. It is the culmination and demonstration of learning from all courses and work experience during the four years of the degree, including public relations theory, legal, and ethical issues confronted by practitioners and the analytic and creative skills necessary to excel in the profession.The first nine weeks of the course will focus on review and remediation of program content, portfolio presentation, and preparation for the capstone exam. The remaining four - six weeks* of the course will be dedicated to develop a public relations approach for an assigned case, including the research, analysis, communication strategy, and evaluation plans. The case will be presented to faculty and a panel of practitioners at the end of the six weeks. Conestoga College has been granted a consent by the Minister of Advanced Education and Skills Development to offer this applied degree for a five-year term starting June 27th, 2017. Conestoga College shall ensure that all students admitted to the above-named program during the period of consent will have the opportunity to complete the program within a reasonable time frame. Application to the Ministry for renewal of the consent to deliver is a prescribed and cyclical requirement for all degree programs at all Ontario colleges.